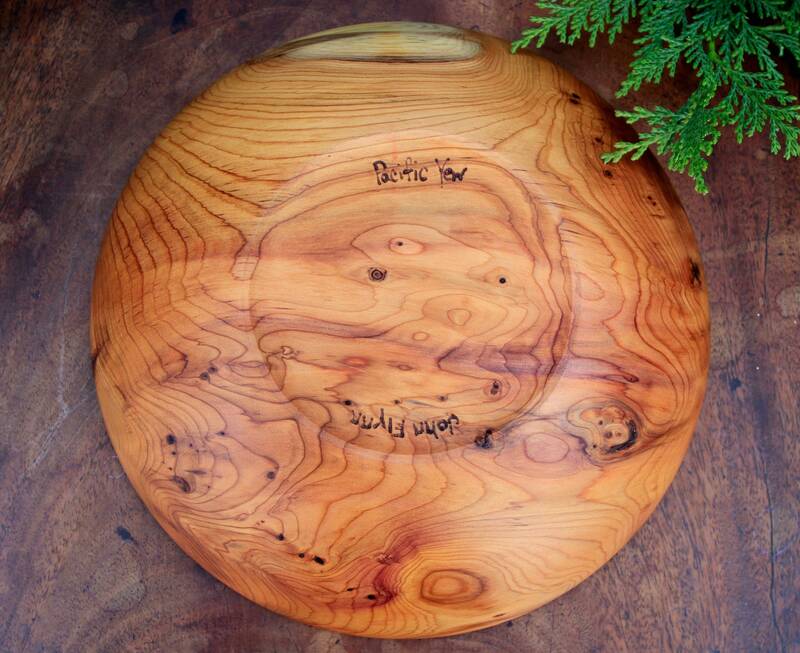 One of the few Yew bowls I have in my shop (actually) the only one at the moment. I have a few dried bowl blanks to be finished soon but this is the only one finished and ready for use. 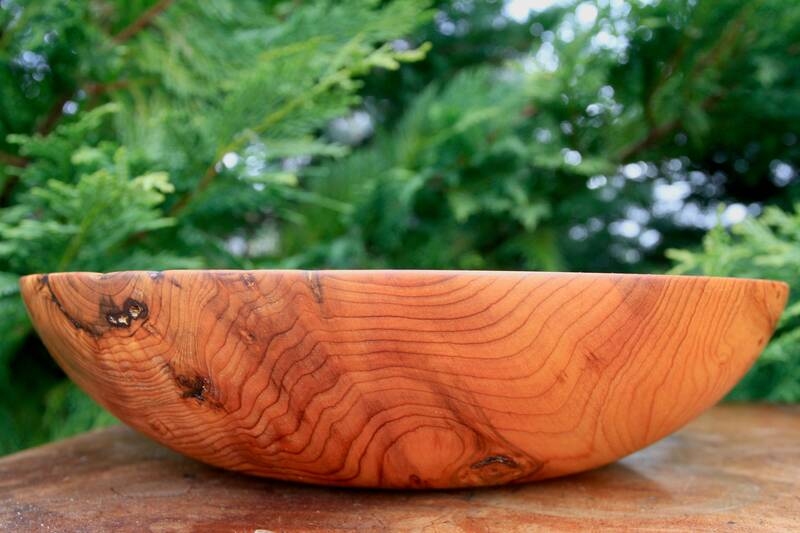 The size is great for a personal everyday eating bowl, serving bowl, or a small salad bowl. I find the orange, pink, white and red colors of Yew soothing and calming to look at. 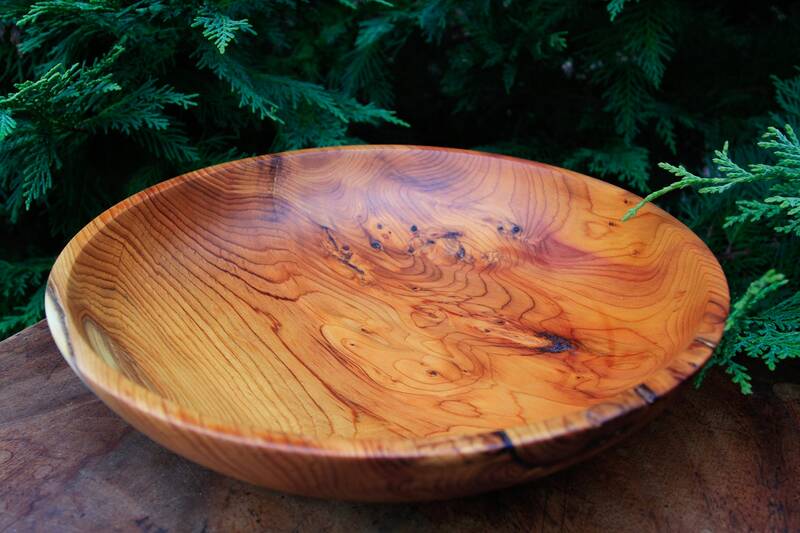 Even though there is nothing "eye popping" or "unique" about the grain, Yew wood somehow stands out. 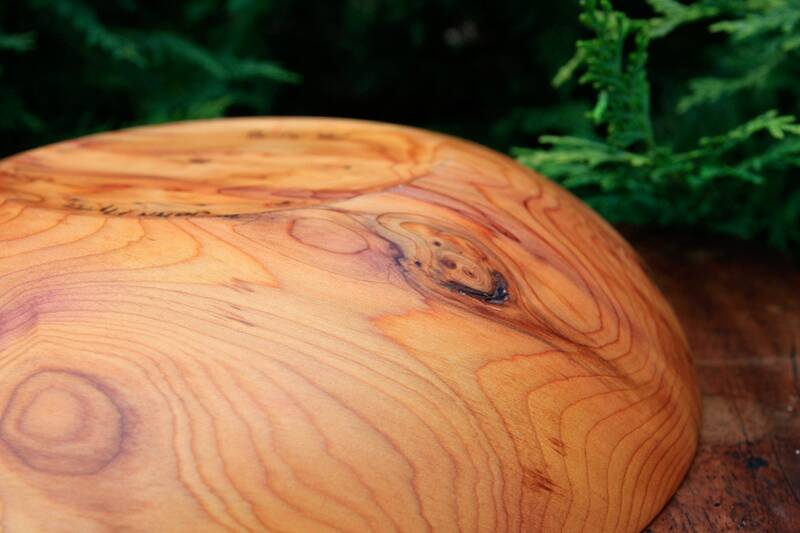 This particular timber came from a friend who lives on the Oregon Coast. All living Yew trees are believed to descended from Paleotaxus rediviva, which was found imprinted on fossils dating back to almost 200 million years ago. 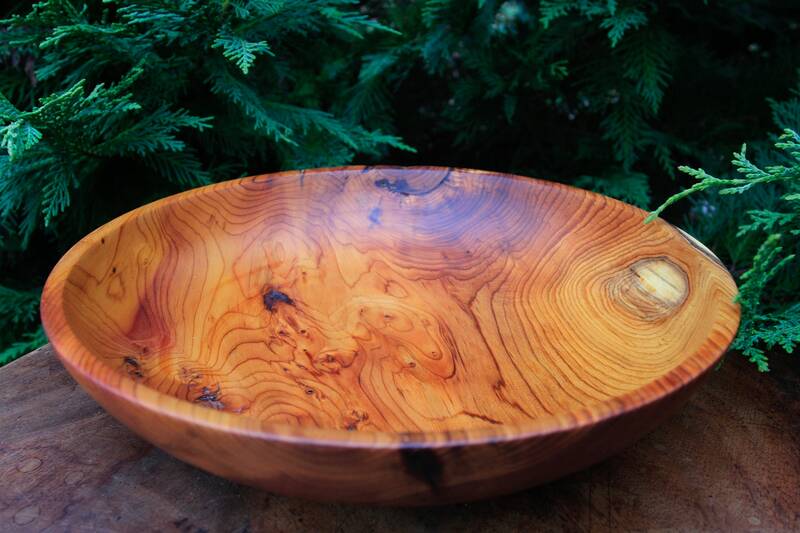 The bowl has been sanded smooth to the touch and finished with multiple coats of food safe walnut oil.